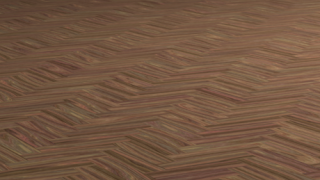 A while ago Cedric Brandin (clarkx at BlenderArtists) was working on an addon that could produce parquetry patterns and because he knew my floor boards addon he asked me some small code specific questions. I was happy enough to help him out of course and he went on to create a very useful addon. 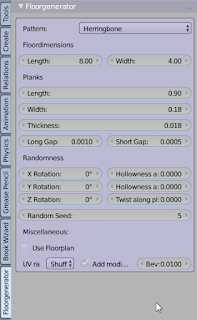 But the idea of patterning a wooden floor sounded to me like a great addition to my addon, and I kept thinking about it. I even looked at his code and in the end decided to incorporate the idea of parquetry patterns. I didn't actually use any of the code because it proved to be difficult to merge the different styles of coding but I owe him a big thank you for the idea. 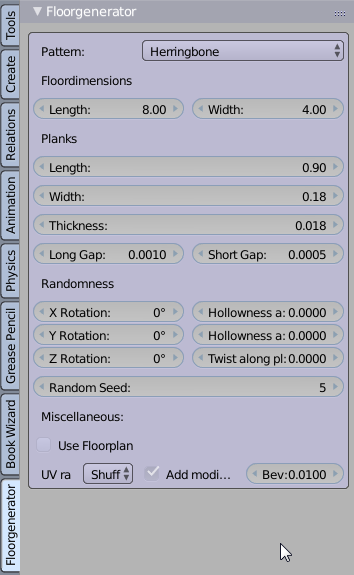 I did not yet implement all the different patterns but each pattern gets the same benefits as the regular flooring, including randomization options, modifiers and the option to use a floor plan. At the same time I cleaned up the code, made the interface a bit more use friendly, made it possible to assign materials and keep them through changes and provided more efficiently packed uv maps. 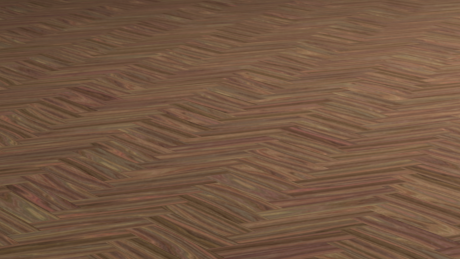 In the near future I might add some additional parquetry patterns. The code itself is quite modular so this should be easy enough to do. The new version (20150320) is available from GitHub. 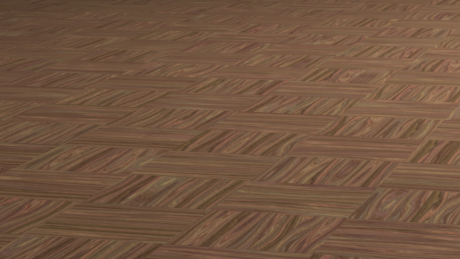 matching a floor to a floorplan is buggy: Blender's booleans don't seem good enough to deliver quality results, showing odd behaviour when the gaps between planks are small. Also if the floorplan is not 2D, the addon crashes. Any comments are welcome of course and this BlenderArtists thread might be the best place for discussion. When we use this generator, we use non tileable high quality wood images. We use the random UV's and then go in and move them all so they fit on one tile. Would it be possible to have one of the random settings do this? Having them overlap like random is perfect, they just can't go out of the time. (shuffle doesnt quite do what we need). Other than that, excellent plugin!